Four billion years from now, the Milky Way galaxy as we know it will cease to exist. Our Milky Way is bound for a head-on collision with the similar-sized Andromeda galaxy, researchers announced on May 31. Over time, the huge galactic smashup will create an entirely new hybrid galaxy, one likely bearing an elliptical shape rather than the Milky Way’s trademark spiral-armed disk. Astronomers have long known that the Milky Way and Andromeda, which is also known as M31, are barrelling toward one another at a speed of about 250,000 mph (400,000 kph). They have also long suspected that the two galaxies may slam into each other billions of years down the road. 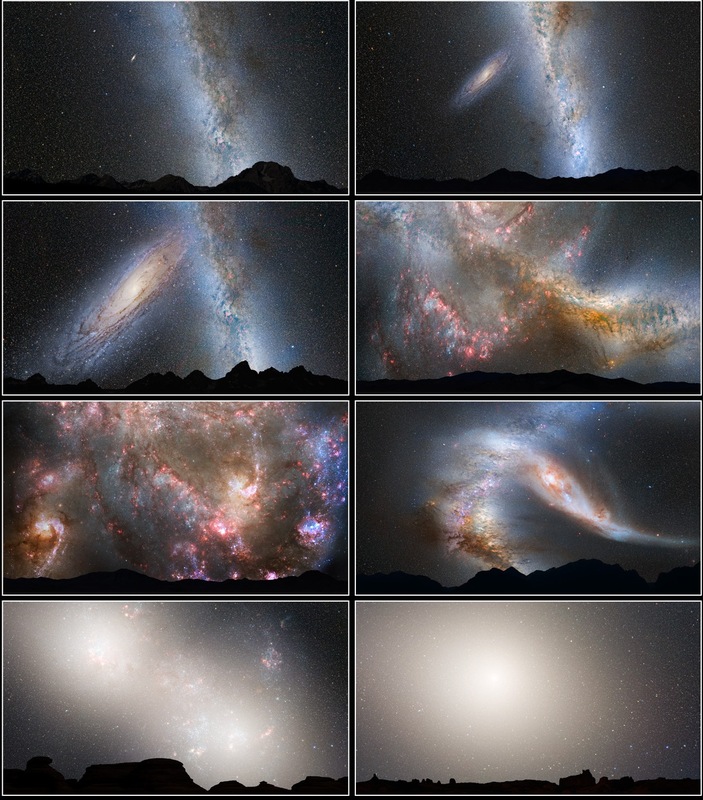 However, such discussions of the future galactic crash have always remained somewhat speculative, because no one had managed to measure Andromeda’s sideways motion, a key component of that galaxy’s path through space.Roeland van der Marel and his colleagues used NASA’s Hubble space telescope to repeatedly observe select regions of Andromeda over a seven-year period. They were able to measure the galaxy’s sideways (or tangential) motion, and they found that Andromeda and the Milky Way are indeed bound for a direct hit. According to van der Marel the Andromeda galaxy is heading straight in our direction. The galaxies will collide, and they will merge together to form one new galaxy. That merger, van der Marel added, begins in 4 billion years and will be complete by about 6 billion years from now. As said researchers the merger poses no real danger of destroying Earth or our solar system. The stretches of empty space separating the stars in the two galaxies will remain vast, making any collisions or serious perturbations unlikely. However, our solar system will likely get booted out to a different position in the new galaxy, which some astronomers have dubbed the “Milkomeda galaxy.” Simulations show that we’ll probably occupy a spot much farther from the galactic core than we do today.